Seca 644 multifunctional handrail scales ensures safe and comfortable weighing of heavy patients since it is equipped with an extremely low-level, easy-access platform, a stable handrail, and high weight-bearing capacity. 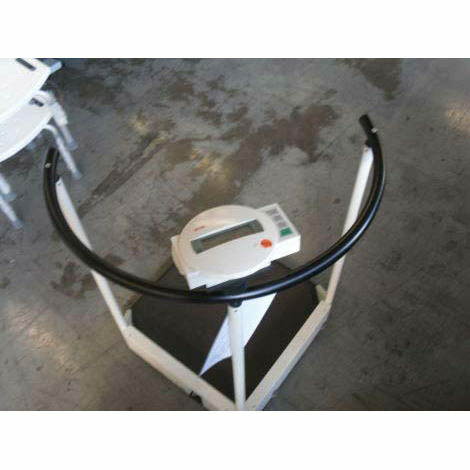 Seca 644 provides support to the patient throughout the weighing process. Generous platform allows a chair to be placed to support users who experience difficulty in standing on the scale. The pre-TARE function with three memory cells automatically deducts a stored weight (such as a chair) to determine net weight. Seca 644 Handrail Scale is made mobile by two rubber wheels and a power supply provided by rechargeable batteries or power adapter. 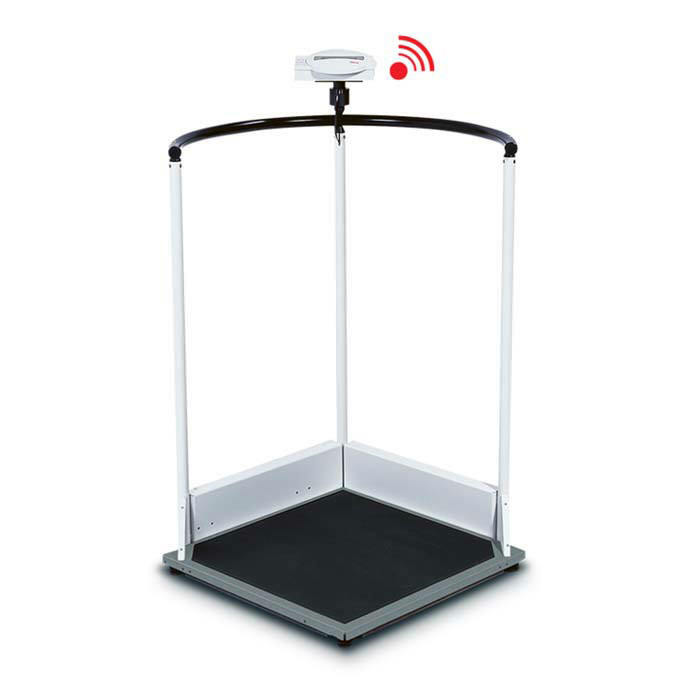 When the scale is connected to a printer, the time of weighing and the patient's weight are automatically recorded and printed by the time module. Measure (W x H x D) 25.2" x 45.3" x 26"